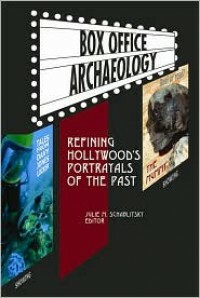 This book would have been better if it had concentrated on the archaeology without all the movie references, but that is the actual subject of the book so I suppose that could not have been left out. I am already aware, however, that movies do not get the history right. Even movies that are based on novels don't get the novel right either. Part of the reason is that movies are by their nature sketchy. If they covered the details of what they are about then no movie would be less than twenty-four hours long and even that would leave a lot out. Another part of the problem is that movie makers never let the facts get in the way of an entertaining story and, after all, the whole point of movies is entertainment, not education. I was impressed, though, that this book does mention some movies where the writers and producers actually consulted with archaeologists and made a serious effort to get the facts straight. Even then though ... well, never let the facts get in the way of an entertaining story. I still think, though, that the discussions about what the archaeologists have found out about the past is a lot more interesting than the discussions about how movies have depicted the past.